The Creative Communities Unit at Staffordshire University are hosting a one day masterclass for practitioners working with young people or anyone wanting to help young people to understand how politics affects their every day life. The masterclass is delivered in partnership with Uprising and YMCA North Staffordshire. Venue: The Learning Exchange, Room L225, Flaxman Building, Staffordshire University, College Road, Stoke on Trent, ST4 2DE.  How young people can make a difference by having a say in a service or organisation.  How young people can make a difference in their local community or area. 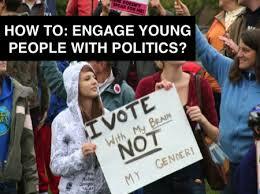  How young people can influence national campaigns and get involved in National Elections. To book a place contact Nic at: n.gratton@staffs.ac.uk or on: (01782) 294793.